“Through The Windshield” was my second solo project. 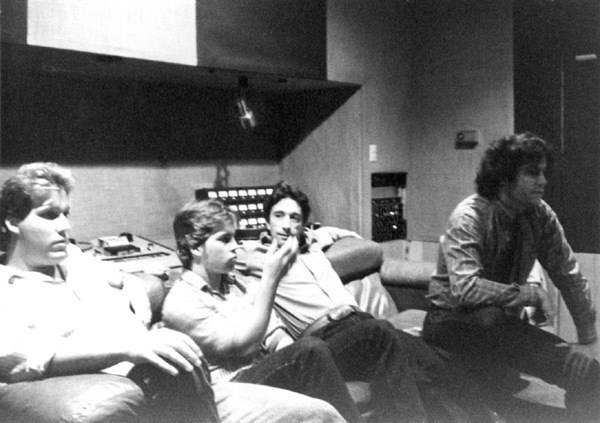 It was recorded in 1984 in a major San Francisco Bay Area studio called The Music Annex, located in Menlo Park. I had unlimited access to this studio since the rented a 24 track recorder from me from 1984 to 1993. The shinning star of this studio was its NEVE 8036, a classic console with transformer-coupled stages. This is the same console that can be seen in back of George Martin in the first Beatles special “The Beatles”. That mixing board was so warm sounding that lots of quite famous people would record their albums with it and then go off and mix their albums on newer consoles. It is here that I learned about recording with the unlimited access to the studio and its engineers and producers who had worked on just about every kind of music there is at one time or another. I wanted to get a big sound in my traditional Bluegrass fiddle albums so I looked at how other styles, like Rock were recorded as a starting place. The people at the Annex in their careers had been part of recording bands such as Blondie, The Cars, Carlos Santana, even Led Zeppelin. So over the years, I would take my favorite Bluegrass recordings with me to figure out the mix and how the audio chain was constructed to get the warm sounds that I liked. My job was to get this warmth with the punch of a Rock record. After all, this was how I had heard Bill Monroe when he would play at Bean Blossom through its sound systems. Bean Blossom was where Monroe felt comfortable enough to loosen up and take chances, as it was his own park. In many live field recordings that I made in the early 1970’s, Monroe can be heard “pushing” the sound system into mild over-drive distortion to get a sound of fullness in his mandolin. It was this sound that I wanted to capture for my fiddle albums. The Here is an interesting story, a true story. I was in the studio with Bob Black. We were working on the album "Through The Windshield". The band had recorded all the tracks for the album and all that was left to be completed was the banjo. So I flew Bob out to California and we went into the studio to finish the album. On “Long Cold Winter” there is the run way up the neck in the last part, which Bob did not included in the tab for this book by the way, and Bob plays off the end of the fingerboard over the drum head. We thought about having an extension made for his banjo neck that that he could snap on somehow. We settled for his playing the notes without a finger board or frets underneath, just using his technique to get the notes. “Long Cold Winter” was written by Kenny Baker. He showed it to me after he had written it one winter out at his farm. He said that he had not finished the last part yet, but that he wanted to see what Blaine Sprouse who was to record it, would do with it. So I figured if Blaine could write a last part to a Kenny Baker tune, so could I, and I did. Bob Black just didn’t tab it out for us. We knew that Monroe was appearing in San Francisco the next night so we took that day off from recording. The next morning I get this call from the manager of Great American Music Hall. He says that Monroe had called ahead and said that they needed a fiddle. I thought well, if it is Baker he can use mine, no problem. Then I couldn't believe my ears. "Can you play fiddle with them?" came over the phone. "What!? What about Baker?" I replied. I thought maybe Baker had become ill or something. Then I heard "Baker has left the band, they have Tater but he has a broken collar bone and he cannot hold a fiddle very long". Then I heard, "This is a great opportunity for you!" I thought for a minute… What a great opportunity! What a great burden! I said, "All those people coming to see Baker and then I show up? They will kill me! I said, well, maybe I can find a bass player! They won't kill a bass player"
Bob Black stepped in and said, "Man, if you want to go with Monroe, I can come back and finish the album some other time" Bob was great! So I got on the phone and called Paul Squyres, the bass player in my band at the time and also on the record project. Paul couldn't believe it either, but he did it. So Bob and I went to the music hall to see Monroe. You could see Monroe was pretty upset. He was in the dressing room with Tater. So Tater hands me his fiddle to try out and I remember it was setup a little different than mine, or Bakers. Monroe was standing there watching me. I played “Wheel Hoss” and he felt that this was all right, then I played “Katy Hill”, and “Big Mon”. Monroe was standing over me as I sat there and he was saying, “Good, that’s right. Now, how about...” and on we went. Then I got to “Paddy on the Turnpike” and here you have to know that Monroe and Baker played two different versions of that tune. I played Baker's version. Monroe looked at the wall and said, "That ain't the way you play that number! That is how a drunk plays that number!" "Well, I learned it from Kenny! ", I said. "Well, it ain't right!" answered Monroe. "Well, ok, ok, I can learn it another way", I responded. "You better if you want to play that tune right", answered Monroe. It was clear that Monroe was still a little sensitive to anything that would remind him of Kenny Baker. I managed to dig myself out of that hole and soon we were playing other tunes of his like “Moonlight Waltz”, which I do the original way Monroe wrote it and not the later version. Monroe talked to me about going to Japan with them, again I heard that Tater had a broken collarbone and couldn't hold a fiddle very long. Bob Black took me aside and said you know this is a golden opportunity, if you want to go, go! I can come back to finish the album later. Well, I thought about it that night during the show and thought how I had paid something like $500 in airfare for Bob to come out to record. I also had reserved a block of time at the studio where we were recording. Then I thought, what am I going to do, I live in California. What if I take the job? I could leave everything here and go to Nashville to maybe get fired in two weeks! So, reason got the best of me and Bob and I returned to the studio to finish this album. Monroe picked up a musician in Japan for that end of the tour, but I will never forget Monroe’s response to “Paddy on the Turnpike”. I was doing ok until then! Months later I talked with Monroe and he said that he wished I had gone with him. Well, I didn't go, but I have a pleasant story out of it. If I would have gone it might not have turned out so well. I just couldn't see being the fiddler that followed Baker. Baker to me is God, and how can you replace God. Dave Thompson played guitar again on this, my second album “Through The Windshield”. He had played on Tanyards the year before. Dave and I had played together for six years in the band “High Country” and two years before that in my band “Plowed Under”. David is a really great guitar player in the style of Clarence White. 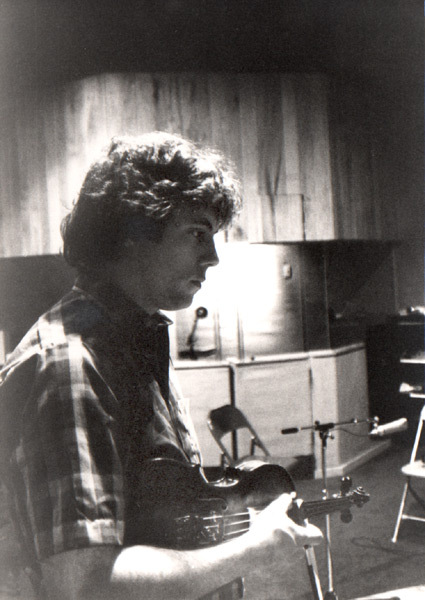 On mandolin we had Jeff Smith. Paul Squyres played bass. 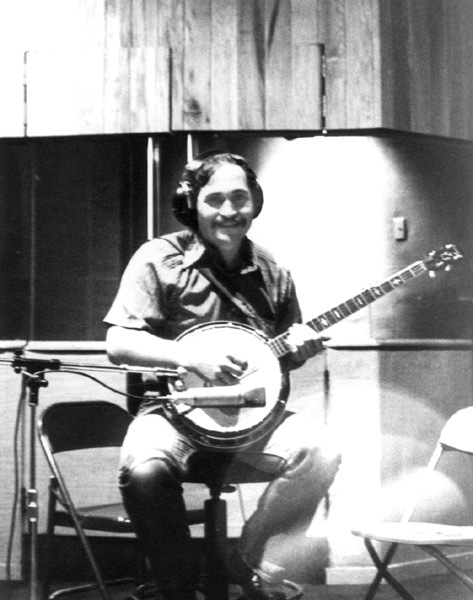 Playing banjo on “Sometimes I feel like a Motherless Child” is David “Slappy” Chalupsky. “Dark Was The Night, Cold Was The Ground” was a very interesting experience. I had found this 1920’s recording of it and thought how it could be broken down into Bluegrass instrumentation. It had this very lonely sound to it, not unlike what I heard Monroe play late at night sitting around Bean Blossom. The band never heard it before when after finishing up all the tracks for the album, I took them out to my truck to listen to it for the first time. The original recording is of Blind Willie Johnson moaning over the top of his slide guitar playing. That is it. So I said to Jeff Smith, just take the backup finger picking that Johnson is doing behind his slide note runs and play that on the mandolin. Then Dave Thompson was to play the slide note runs as flat picked bass lines on his D28. Then I would play the moaning parts on the fiddle. There is no rhythm to this recording and so I said I would play my parts until I felt it was time to stop and the guitar and mandolin would have to just watch me to know when to end a line with the fills that belonged there. Then when I felt that the tune had gone on enough I would raise my bow and they would end the song. It was 4:00 am and we had just finished the rest of the album. The band was feeling pretty good. There were a few dissenters so they stayed in the control room and out of this recording. Dave and Jeff were into it though and the three of us stepped back into the studio to take a shot at it. The engineer turned down the lights and gave us some liquidy reverb in the headphones. With each of us in different rooms, but with eye contact through the glass we played it through the first time and it sounded great, to everyone’s surprise! Then we tried to out-do that recording with a second pass. We couldn’t do it. In fact, we couldn’t get through it again. That first take would be the only time we would ever play that tune. As it turned out, this was the tune that Bluegrass Unlimited singled out in their high praise review of the album. Its funny how things work out sometimes. The name of the album, “Through The Windshield” was coined by Larry Cohie and indicates what happens when a Bluegrass band ends a tune and one person plays on for a few more notes. I wrote the tune “Through The Windshield” in order to keep hotshot musicians who would sit-in with us at our shows from getting a chance to show us up. The tune leaves off a beat every so often. If some gunfighter Bluegrass musician would try to brow-beat the band, we would simply pull out this tune and they would forever be falling out of time with the tune right in front of the audience. The tune is pretty fast so they never had a chance to figure out what was going on, why they were always getting behind. It works great. Try it sometime. Take a look at the "Through The Winshield" Banjo Tab Book with tab by Bob Black. And the "Tanyards" Banjo Tab Book with tab by Bob Black.